Unlock more than 70 mini-figures and 50 types of vehicle! Explore an entire city made of lego! 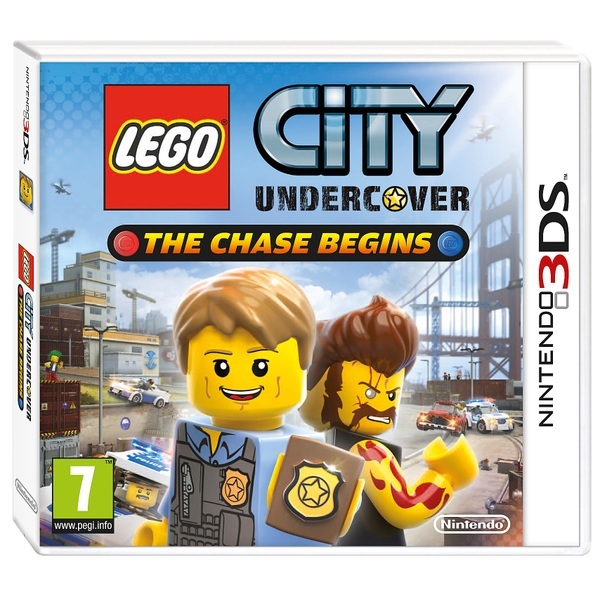 When you play LEGO CITY Undercover: The Chase Begins, you’ll step into the shoes of detective Chase McCain, a rookie cop on a mission to clean up the streets and become the hero he was always destined to be.When you play LEGO CITY Undercover: The Chase Begins, you’ll step into the shoes of detective Chase McCain, a rookie cop on a mission to clean up the streets and become the hero he was always destined to be.Available exclusively on the Nintendo 3DS family of handhelds, LEGO CITY Undercover: The Chase Begins takes place in the open world of LEGO CITY and challenges gamers to help Chase become a real police legend. On his first mission, you’ll need to hunt down criminals in the neighbourhood and put them safely behind bars. Before long though, you’ll see there is more happening on the streets of LEGO CITY than it seems – involving an underworld of hoodlums that need to be brought to justice.This epic quest to clean up LEGO CITY will take Chase undercover as he attempts to make somerucial arrests and learn more about the criminal operations that are going down all around him. To do this, he’ll need to take on a number of different disguises, each of which will give him special abilities that will help him complete his assigned missions. In addition, there are loads of other things to look out for, including collectables that will allow you to unlock the many secrets of this unique handheld adventure!